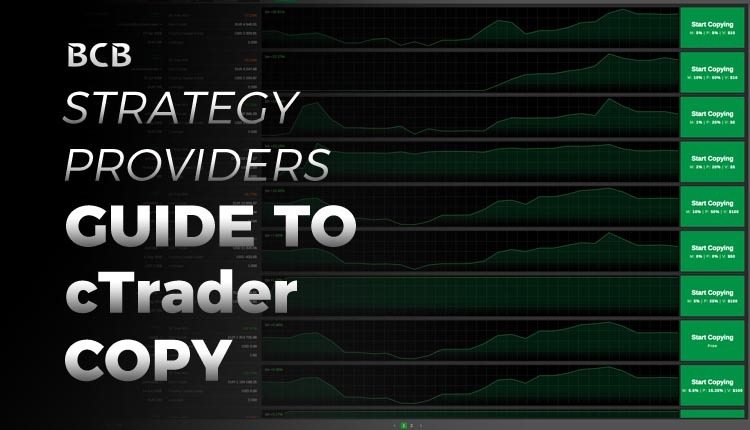 We have recently published a detailed guide on using cTrader Copy from the perspective of investors looking to copy successful strategies. This week we are looking at Spotware’s new Copy Trading service from another angle. In this guide, we explore how to get started as a Strategy Provider and start getting clients organically and through your own network. We also cover how to promote your strategy to prospective investors. But before that, let’s look at who is Spotware and what exactly cTrader Copy is. Spotware is a FinTech company based in Cyprus. According to their website, they have over 100 developers working at their headquarters. The company launched their first product called cTrader in 2011, with FxPro being the first broker to offer the game-changing new Forex trading platform. Shortly after this, other leading forex brokers including IC Markets and Pepperstone started offering the platform. cTrader is the foundation of everything else that has been developed by Spotware since then. For example, the company has developed cTrader Automate an algorithmic trading feature, Open API and FIX API trading interfaces and cTrader Copy which is yet another game-changing application. Find out more in the next section. cTrader Copy cannot simply be described as a Copy Trading platform. It’s much more than that. cTrader Copy should be seen as an investment platform where money managers and investors unite. It’s an ecosystem that enables any user of the cTrader platform to discover your strategy inside the application. Unlike social trading brokers like eToro, cTrader Copy is a cross-broker community. This means you don’t rely solely on users who are already signed up to the same broker as you. cTrader Copy allows traders from any other cTrader enabled broker to copy your strategy (unless the broker disabled this capability). All of your strategies can be easily discovered within the community. On a similar note, if you are already a money manager using a PAMM system provided by your broker, then you will understand the benefit of a cross-broker solution like this. When you recruit new investors via your own network you not only need to convince them to trust you but also your broker. With cTrader Copy, those new investors you onboard don’t necessarily need to sign up with the same broker as you. This removes one step of complication from the onboarding process, as well as makes your strategy accessible to a wider pool of investors. One of the many great things about cTrader Copy is it opens the door for anyone to become a strategy provider or money manager. There is no trial period, no approvals needed, no complicated forms and documentation, just start trading and providing your strategy to the cTrader community. This is all possible thanks to the design of the system. Read on and it will all become clear. From one side, cTrader is a far more advanced trading platform than what MetaTrader 4 is for example. As a Money Manager who uses cTrader Copy to provide your strategy, you benefit from the well-established benefits of trading with cTrader. While this is for your comfort, there is another important factor to consider, cTrader attracts traders who make larger deposits than the industry averages. Those high depositors could be allocating this money to follow your strategy. By now, you are probably convinced that cTrader Copy is the right choice. Once someone starts copying your strategy, they allocate an amount that will be used only for copying your strategy. Investors do have the control to increase and decrease this amount at any point. Each time they change the amount allocated to your strategy, any pending fees that are owed to you are paid there and then. You can set a minimum investment amount. Doing this will prevent traders from copying your strategy with amounts that are too small. Small investments mean they won’t get much benefit from copying you and it won’t enable you to earn anything substantial from their investment. cTrader Copy uses an Equity to Equity ratio to determine the size of the orders which investors copy from you. If your account equity is $2,000 and someone new joins your strategy and allocates $500 then the ratio is 4:1. This means if the next position you open is for 0.8 Lots their position size will be 0.2 Lots. It’s worth noting that there are some rounding rules in place and they would come into effect if your position size was 0.02 Lots, since they couldn’t follow 0.005 Lots so the investor will copy the minimum allowed size according to their broker’s settings, in most cases that would be 0.01 Lots. This means that the position size has been rounded up to the nearest minimum volume step allowed. In general, Copy Trading follows the rules of brokers and their settings. Performance Fee: This fee can be anywhere between 0% and 50%. The fee is a percentage of the Net profits gained by the investor by following your strategy. This fee is paid at the end of the month or when the investor exits or removes funds. There is a high-water mark that prevents you from double charging investors for the same performance. Management Fee: This fee can be anywhere between 0% and 10% per annum. The fee is a percentage of the equity allocated to the copying of your strategy. It’s calculated daily to take into account regular changes in equity. This fee is paid at the end of the month or when the investor exits or removes funds. Volume Fee: This fee can be anywhere between $0 and $100 per $1 million. The fee is a commission for copying your trades and is calculated for every trade. This fee is paid at the end of each day at midnight UTC. However, this fee is actually charged to a copier for each deal that is copied from you. It’s important to note that Spotware charges 30% from your commissions to cover the cost of providing this service. You should factor this into your charges. Once you have received your compensation you just withdraw it from your trading account just like you would with your trading profits. Obviously, the best way to attract investors is to be one of the top performing strategies in cTrader Copy. It’s the strategies which perform well that make it onto the first page of the platforms search results. One of the principles which cTrader has established itself is being transparent to traders, this means your investors too. cTrader Copy shows a very detailed profile of your strategy and its performance to the community. This boosts confidence and reassures investors. However, competition is fierce, and everyone has periods when the markets just aren’t their friend. If your strategy has history, then any slumps in performance get offset by the good times. If you already have a cTrader account, then all your account history will be shown, this can give you a good head start. If you don’t want to show your history, then you should open a fresh account. You can create a compelling description of your strategy. This is your pitch deck to potential investors. The more detail you can provide, the better. But it’s not just about relying on the cTrader ecosystem to acquire investors. cTrader Copy offers a useful feature which allows you to embed your strategy profile on other websites, such as a personal website, online trading communities and trading rooms. The iframe updates in real-time just like your strategy profile does in cTrader Copy. Alternatively, you can just share the link to your strategy for anyone to find. Perhaps you already have a group of investors lined up to follow your strategy. In this case, cTrader Copy also has you covered. You can mark your strategy as private, this means it will be hidden from searches and can only be accessed by users with a unique link which you generate and send to them. If you’re a seasoned money manager or want to get started as a money manager, then cTrader Copy is a perfect choice. Just find a broker from our list of cTrader brokers who support cTrader Copy, sign up, make a deposit and launch cTrader Copy. Once you have launched the application, select your trading account, click the big green “Become Strategy Provider” button, fill in the details and hey presto, your strategy is live. Start trading profitably, start promoting and start earning. As a final note, it’s worth reiterating that it’s fast and easy to get started as a strategy provider in cTrader Copy. Investors can start following you with a couple of clicks. There is no complicated power of attorney form, there is no need for you to become a licensed financial advisor. It really is that simple. This is all possible because cTrader Copy provides an intense level of transparency to investors that they have enough information to make sound conclusions of whether a strategy is worth investing into or not. Check out our complete list of cTrader brokers and reviews of our favourites. If you’re new to cTrader, don’t worry, you can get started with a demo account.